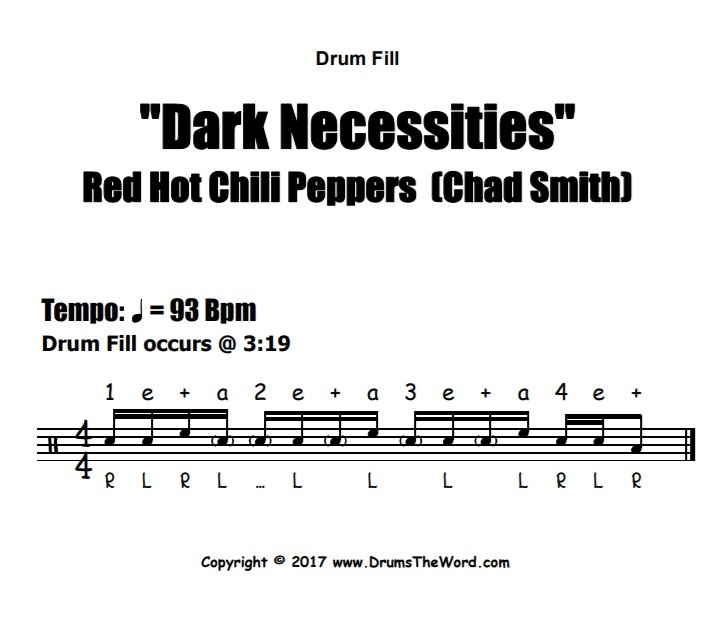 In this free video drum lesson, I want to show you how to play the drum fill that occurs at 3:19 into the song “Dark Necessities” by Red Hot Chili Peppers, featuring the drumming of Chad Smith. Another classic fill idea from Chad involving one of his favourite things; ghost notes! The drum fill uses both normal volume notes, but most importantly, ghost notes to fill in the spaces. 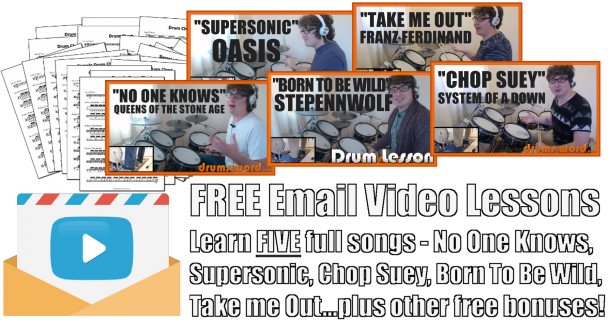 This creates a line of notes and grooves and flows wonderfully. The accented hits are a little syncopated but once you’ve worked out the sticking, it shouldn’t be too difficult. Have fun!